It’s been a little while since I’ve blogged about my wedding performances so here is a combined effort from the last four. Each was unique and as always great people to play for! Congrats and best to you all! I had been teaching a student for a few years when her uncle got married and they asked my guitar duo to play for the wedding which we did. A year or so later this super sweet guitar student of mine passed away. With a heavy heart I played for her memorial. This recent July wedding was another chance to play for the family…I’m always honored to play multiple events for my clients! This wedding was also unique as I got to perform with two outstanding singers. One was an opera singer and the sister of my previously mentioned student and the other a family friend who sings musical theater. It was a pleasure to work with them both and their contrasting styles and talents. So I got an email in July asking if I was available to play a wedding…koto, violin and guitar. First thing I thought was “that sounds interesting” and immediately jumped on the chance to play with some new musicians and a unique ensemble. 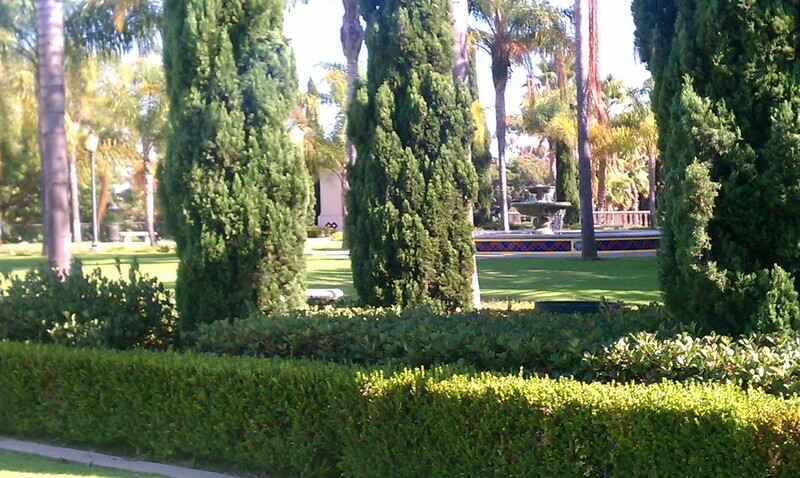 Plus I always enjoy playing at Loews Coronado resort one of San Diego’s incredible wedding venues. If you don’t know, the koto is a Japanese instrument kind of like a harp that lays flat. The sound is truly amazing and I found myself listening attentively during our performance. We played a mix of typical classical wedding pieces, as well as, western pop for the cocktail hour. Personally I would have loved to play some traditional Japanese music to bring out the koto’s personality. No rehearsals and it went great! I look forward to playing with this ensemble again. 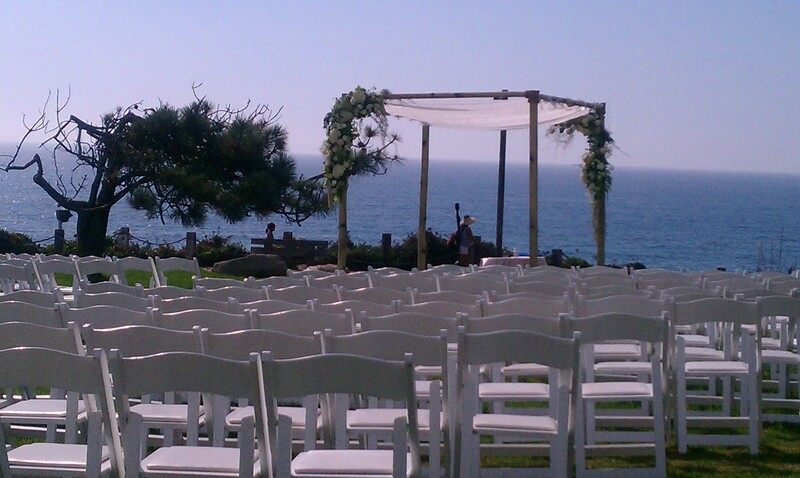 Looking for a great wedding venue in San Diego? 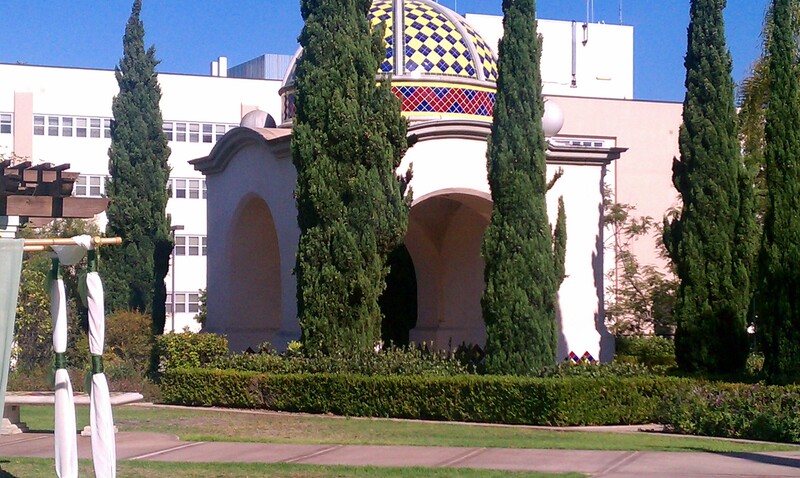 Recently, I found an amazing somewhat unknown spot in Balboa Park’s Administrative Courtyard. The venue is really beautiful, located in Balboa park and has views of the downtown skyline, Coronado and other parts of Balboa Park. In addition to all these attributes the courtyard is located on the east side of Park Blvd. which makes for easy access and parking not afforded at some of the Park’s more popular locations. Great couple too! Good luck to you both on your move across the country! Seagrove Park in Del Mar is always a great wedding venue and with temps around the county reaching the high 90’s and 100’s I was really looking forward to playing atop the bluffs overlooking the Pacific! …then cocktails at the Del Mar Hilton adjacent to the Del Mar Racetrack/Fairgrounds. The couple had some special requests for their ceremony music. I learned “The Boxer” by Simon and Garfunkel and Andrea Bocelli’s, “Con Te Partiro” or in English “Time to Say Goodbye” which will definitely be added to my wedding repertoire. Booking this wedding was a little different as I did not work with the bride and groom at all. I was contracted through a New York DJ and party planner who I hope to work with again…maybe in the Big Apple next time! Thanks Martin! Coincidentally, two of these events I got to work with the good folks at GD Productions. It is amazing to be playing guitar for so long in San Diego and then back to back weekends work with the same vendor who I had never worked with before…check them out for all your party needs! Well that’s it in a nutshell …the last month of guitar and weddings in Sunny San Diego. Click here for previous wedding posts! Did you post this on your fb, I would like to, so I will try. So proud of you…. Thank you! It should have been posted to FB as well, but always feel free to re-post…its always appreciated! ← No Olympics on TV Burnout??? Listen to Some Music!